Preamble: We are often unaware of the many biases and prejudices that influence our social judgments. Psychologists call these “bias blind spots.” We can overcome many of these subliminal biases by teaching ourselves to be aware of them. This is the second in a series of articles on the common rating errors. See my earlier article on the recency bias. 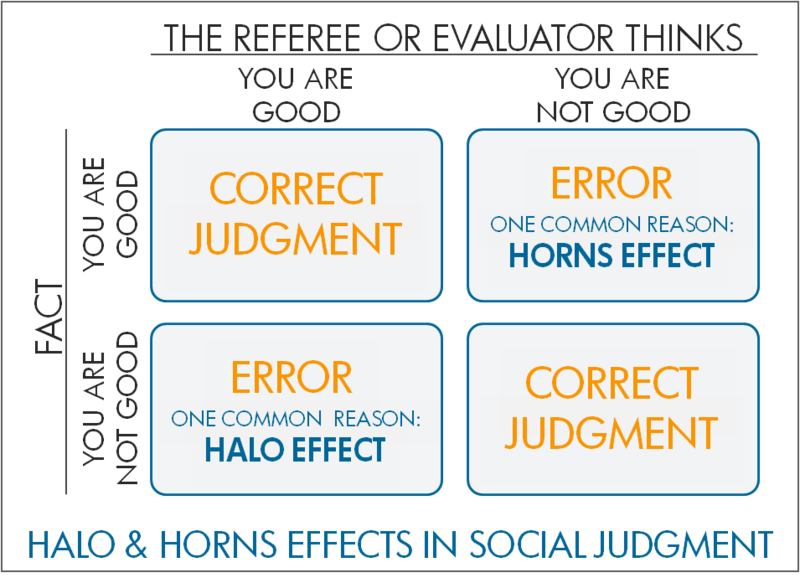 A 2007 study highlights two of the most common unconscious social judgment biases. Prof. Emily Pronin of Princeton University showed study participants one of two pictures of the same man whom she introduced as an investment broker. One picture showed a suited man with a highly regarded Cornell degree and the other showed the man in casual clothing with a degree from a nondescript college. The professor asked her participants how much of a theoretical $1,000 they would invest in each. The participants rated the suited man as more competent: on average, he got $535 on without having his background checked. In contrast, the causal dresser received just $352. Not only were the participants more likely to have the second broker’s credentials verified —but also they did not consider him as trustworthy. articulate speakers are likely to influence their audiences more even if their messages are poor in form and content. Politicians, film and TV stars, sportspersons, celebrities and brand managers have learned to construct a halo effect and capitalize on their reputations. 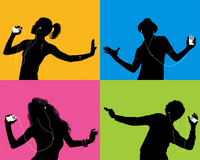 Apple’s iPod spawned positive impressions of other Apple products—the company took advantage of this halo effect and delivered excellent products in the iPhone and iPad. In another example, renowned fashion designers can set high prices for perfectly ordinary clothes. 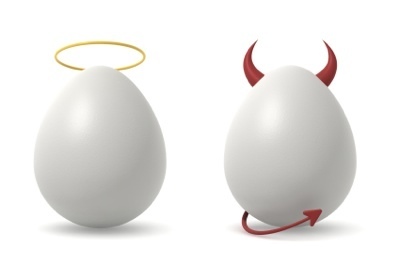 The “horns” or “devil effect” is the concept by which a person who is judged negatively on one aspect is automatically judged negatively on several other aspects without much evidence. Clearly, this is the opposite of the halo effect. For years, American car manufacturers have battled the mistaken public perception that cars made by Japanese companies are of significantly better quality. This misperception remains even when American car manufacturers use identical components from the same suppliers and assemble their cars using identical manufacturing processes. Even today, Japanese-brand cars resell for much higher prices than American-brand cars. Reflect on your decision-making process to steer clear of biases. As human beings, we incessantly form opinions of people, objects, and events, both consciously and subconsciously. However, our judgment is rarely free of biases and our measures are not always comprehensive enough. Before reaching any important decision, be sure to collect all the relevant facts and reflect on whether your thought processes are free of the common biases. Understand that perception is reality and be conscious of the image you are projecting. 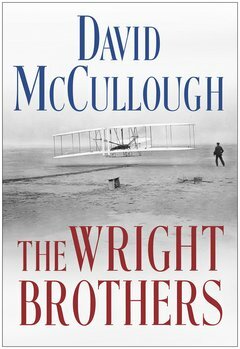 People judge the proverbial book by its cover. Your friends and family, workplace and society at large have a certain perception of who you are and what you can do, irrespective of the reality. As much as you would prefer to be evaluated based on who you actually are and what you can actually do, understand that your identity and prospects are based on others’ image of you. Do everything you can to connect people’s perception to the reality. Look and play your role. Begin by reading the seminal article on the topic of personal branding, “The Brand Called You,” written by renowned management author, Tom Peters.